For our Residential owners, we offer both our Bespoke service and our Collections of furniture, mirrors and wall panels. Our Collections have been designed and pre-curated to provide a more price-conscious and lead-time friendly solution, where this is more suited to the project requirements. 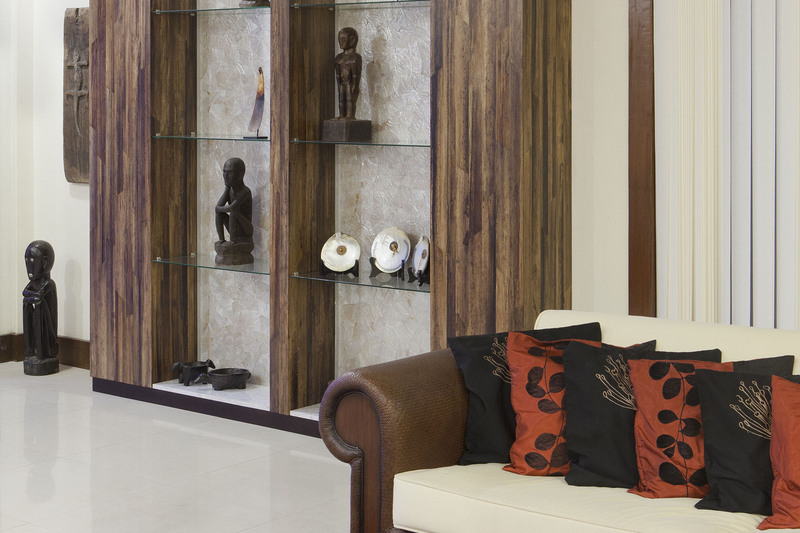 We are specified in residential interiors of diverse styles as our materials have such differing characteristics. From beach side villas, to mountain retreats; from cosmopolitan loft conversions to country mansions; from palaces to more modest dwellings; from show flats to turnkey developments, our products have imbued each interior with a distinctive ambience. From our origins in Bespoke work for superyachts and private jets, it was a seamless transition to the residences of these same discerning owners. We are delighted to be able to share images of this residence’s entrance hall which is completely clad in Bespoke eggshell. The design brief was for a discreet, understated contemporary look which was nevertheless warm and inviting. As large scale floor to ceiling panelling, the challenge was to deliver a completely consistent yet random crackle, texture and colour variation. 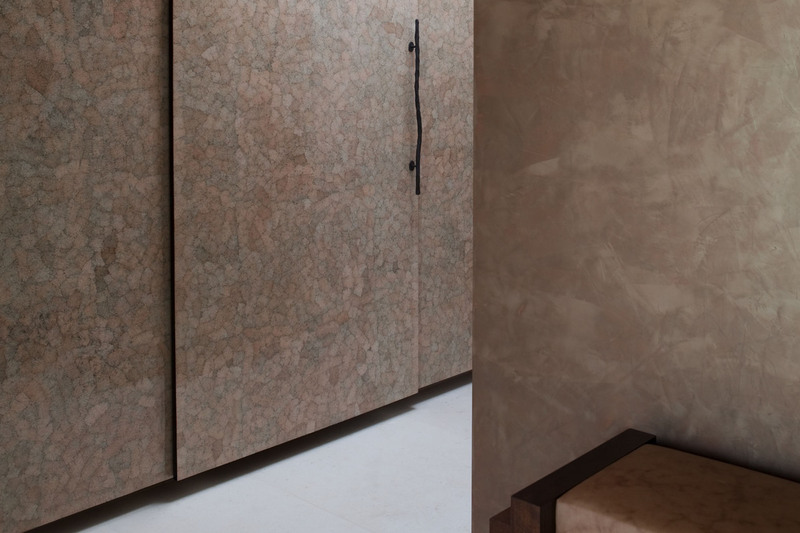 The need to do so was exacerbated by the mirrors on one side that reflected and magnified the effect of the eggshell panelling within the space. Each panel was worked on simultaneously by four to five master artisans. The eggshell, naturally white, was toasted to give shades of blush and taupe. As each individual eggshell takes colour differently on toasting depending on its density and other natural variances, the selection of the eggshell needed due care. Then each piece of eggshell was inlaid by painstaking cracking, all the while ensuring that the size and spacing of the cracks was harmonious across the entire room. This requires intense focus and concentration not just from each individual artisan but also across the team. There were many questions from the client team as to the durability and suitability of this material. While eggshell inlay has been a heritage skill in East Asia for over a thousand years, we are conscious that modern lifestyles and building standards impose different requirements. In all our products, our European materials specialists have formulated our production methods so that these requirements are met and indeed exceeded. And our background in superyachts means we deliver to dimensions tolerances that more than satisfy the well-known Swiss desire for precision! In this interior, two surfaces, abaca bark strips and pearl shell pisces, from our Select Collection, have been combined to great effect to showcase the owner’s collection of primitive art and artefacts. This was a project designed to a challenging time line. Choosing surfaces from our Select Collection enabled these constraints to be met and exceeded, while providing the touch of distinction that the client required.